The snow season is cracking off, and Blindside Layton has everything you are looking for. 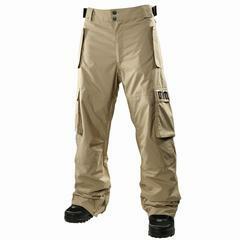 The 32 (Thirty-two) Blazahay Snowboard Pant in colorway Sand are an amazing pant for a great price of $143.99. We received all of our 32 (Thirty-two) outerwear and these are just one of the ones we chose to highlight. They are a perfect cargo pant, with too many features to throw in this. Just trust us these are pretty rad. We have the Blazahay pant in Black, Blue and Sand. Come by the shop and check these out and all of our 32 Thrity-two outerwear, you know we brought in the best pieces that were offered. Give us a call with any questions at 801.593.9300, or check these out on the website at www.blindsidelayton.com.